Bookish Lifestyle: Announcing May's TBR Read Along! Announcing May's TBR Read Along! Based on a beloved classic and steeped in Sara Benincasa's darkly comic voice, Great has all the drama, glitz, and romance with a terrific modern (and scandalous) twist to enthrall readers. Let's have lots of fun tacking our TBR Piles together and then discussing the books we've read over a cup of delicious tea/coffee :) Don't forget to tell us if you'll be joining or not - be sure to check your local library if you don't have a copy and still want to join! 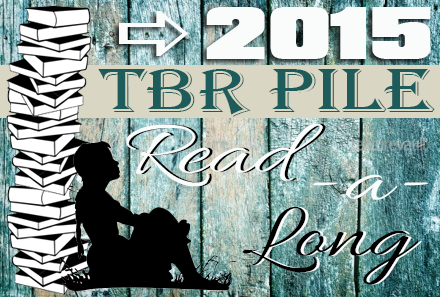 And remember, it's never to late to sign up for 2015 TBR Pile Reading Challenge and/or join our monthly Read Along, so spread the word and invite your friends to join the fun! If you missed the early sign-ups you'll have another chance to sign up, and link your reviews, on Debbie's March - April Wrap Up that will be posted April 25.